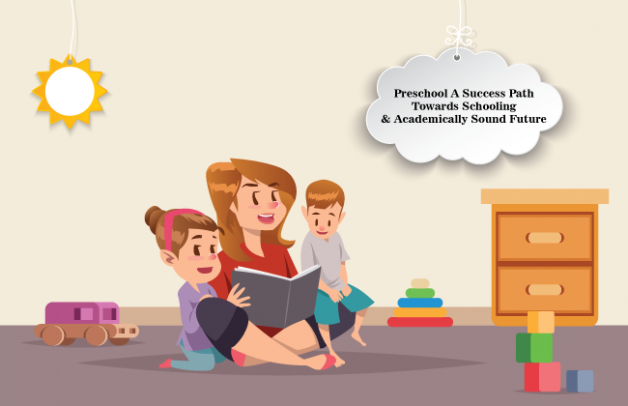 Preschool is the new beginning in your child’s development, new friends, learning new set of skills, gaining confidence and independence. An early preschooler brings school success and academically sound future. You and your toddler may go through mixed emotions like anxiety, excitement and even sadness of not being around each other the whole day. A preschool visit makes a child and the parent confident about the environment, place and the educarers at the preschool. It is natural for your child to be nervous, talk to your child about the preschool Singapore and what will he do there. Show the classroom, where he will sit and the backpack, personal things keeping lockers. A child has to be friendly with the school before he actually joins on the day and also can be friendly with the teachers at the school. To make it easier for the child bring some books related to preschool studies which you spent time reading with him. Let him explore his emotions through it and gives an opportunity to express in front of the educarer at preschool. The teacher before the school presumes can know more about the kid by a mere interaction with him. Scheduling a preschool timing and eating habits is a tough job! Parents have to make sure that the child gets habitual and wakes up at time before a week ahead of the school to commence. Teach him some basic eating habits and sharing with other peers at the playgroup centre Singapore. A play-date with the classmates will make your child familiar with them and you will also get to know other parents experience. On the very day of the school your child will not find all unfamiliar faces in his class and would happily attend the preschool. The journey of schooling is easier with peers!! Go early on the first day of the school, sit with your child in the classroom talk with him about the positive things and spend some time with him. You will observe some ups and downs the first week but soon your family will be adjusted to your new routine. Camelot International Infant and Toddler care centre is the place where your child reaches his perfect developmental milestone with educarers highly experienced and a safe environmental nurturing vibe. Visit our Baby Care Centre for more information! !